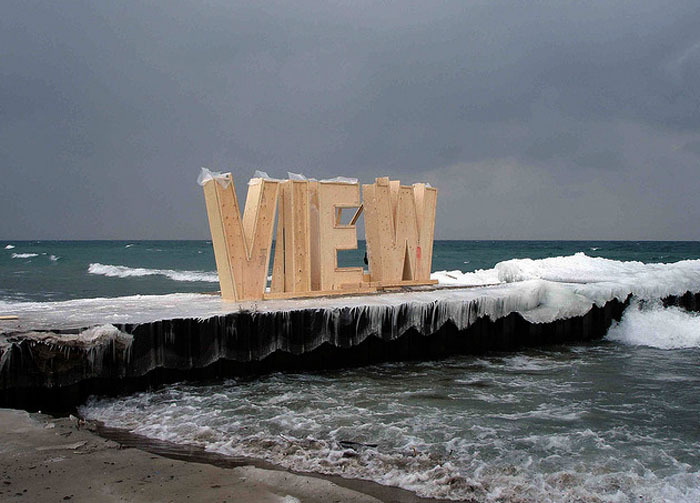 I’m not a fan of the cold or ice or even snow, but if I were to come across one of Nicole Dextras’ Ice Typography installations, I think I could bear the frigid temps a little more. Nicole Dextras is an environmental artist from Vancouver who works in a multitude of media including sculpture, interactive public art and photography. 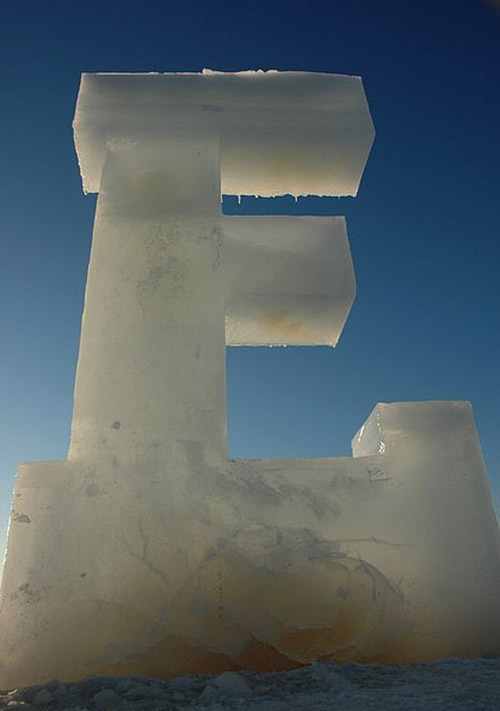 Her Ice Typography series consists of three-dimensional words fabricated in ice ranging in size from 8-foot high letters to 18-inch high. 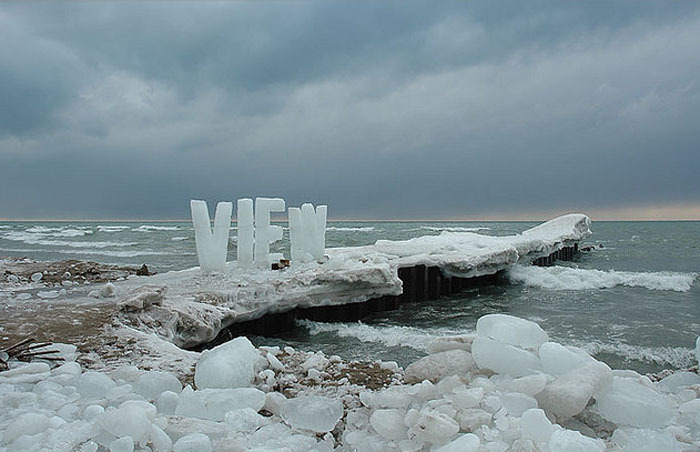 Apart from the striking aspect of these frozen letters standing tall in the outdoors, whether in a rural or urban landscape, is their shifting and transient quality. The visual poetry in this series aims to subvert the authority of the English language and the commerce of signage by representing words as vulnerable and shifting. Ice Typography absorbs light, melts and eventually leaves no trace; these words have more in common with dreams and oral stories than linear language. Words cast in ice interrupt our literal narratives, allowing a more integrated reading of the land we inhabit, as opposed to the past and current commodification of land as limitless resource. This fundamental split in perception lies at the crux of our environmental crisis. I therefore choose to create within an ephemeral vernacular to accentuate the collective physical and psychological experience of flux and change. There are many more of these installations on Nicole Dextras’ site here, and you can see time lapse videos of her Signs of Change series as they melt here.